How can human Financial Advisors compete with Robo-Advisors? The answer to this question should be a simple one: Support clients with equal or better technology, and also give them a highly educated, highly skilled and highly emotionally intelligent human Financial Advisor to go along with it. Research with affluent individuals has shown that an affluent clients comfort level with the idea of financial self-management declines as their wealth level increases. When given the choice between a robot, a human or both the affluent client will almost always choose both. Provided, of course, that a relationship with the advisor in question is deemed to be indispensable and of great value. 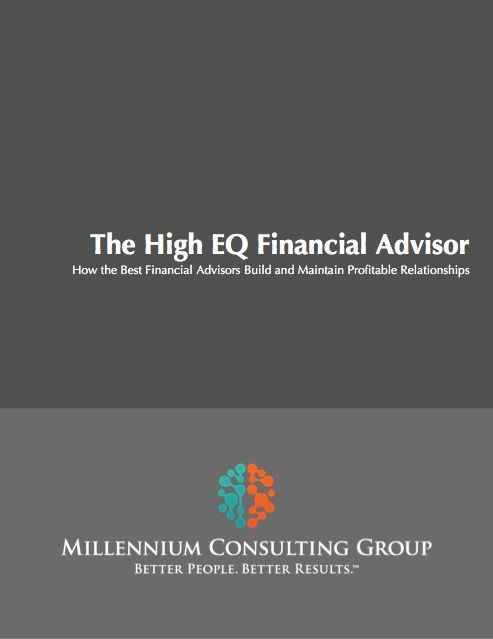 Our High EQ Financial Advisor workshop is designed to immediately and positively impact participant EQ levels by working with them to understand and develop the personal development and relationship development mindsets and skill sets of the most successful Financial Advisors in the industry. This fast paced, highly practical and highly interactive program takes the EQ discussion beyond general theory by delivering industry specific functional best-practices that will challenge participants to elevate the quality of their personal growth and relationship development efforts.